Someone has a sense of humor? of art? 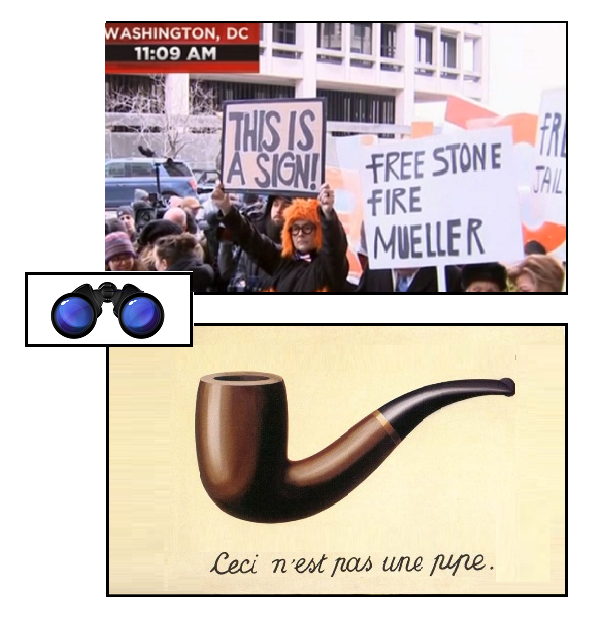 The statement “This is a Sign” isn’t even paradoxical, unless you remember Magritte‘s un-pipe — but it’s certainly an obvious statement of truth, albeit self-referential, ouroboric. In my view, witty, to say the least.. This entry was posted on Tuesday, January 29th, 2019 at 11:28 pm	and is filed under art, Charles Cameron, Doublequotes, humor, ouroboros, paradox, roger stone, signs, symbolism, truth, Uncategorized. You can follow any responses to this entry through the RSS 2.0 feed. Both comments and pings are currently closed.